How sure are you that your toilet's 100% clean? Most Filipinos don't realize that their toilets still have germs (with 2 million bacteria per inch in every bathroom) and are unaware of proper sanitation practices. This scenario can lead to various diseases like diarrhea. In order to avoid this, we must have knowledge in toilet hygiene and know which brand to trust in our homes. 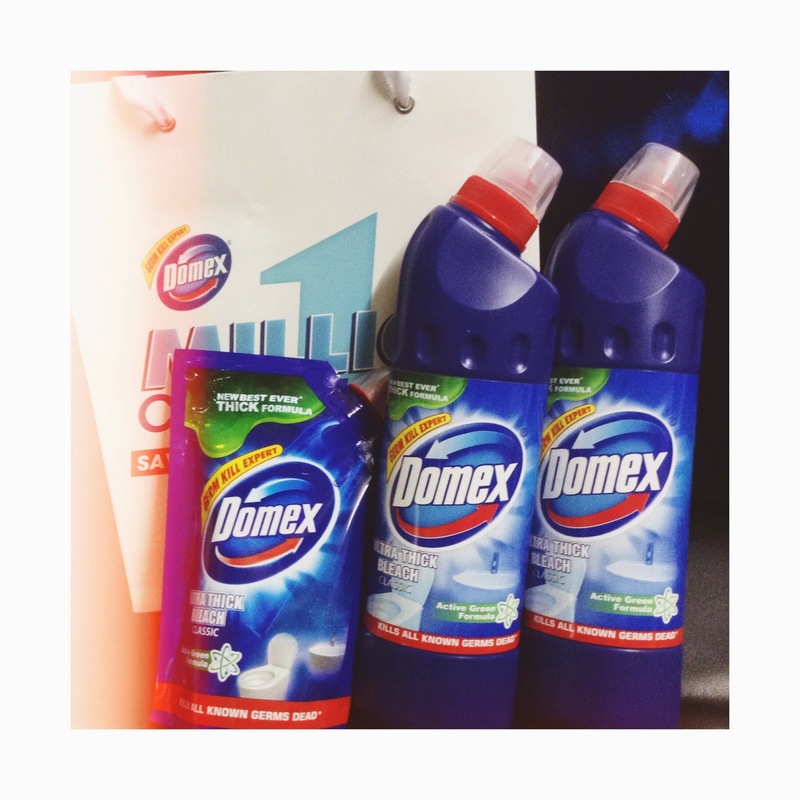 The #1 germ-killer brand, Domex, further plans to continue their advocacy and annual support for World Toilet Day celebrations. The campaign is called "One Million Clean Toilets Movement", which encourages a culture of cleanliness by increasing public awareness on proper toilet sanitation through a series of year-long cleaning and education initiatives. 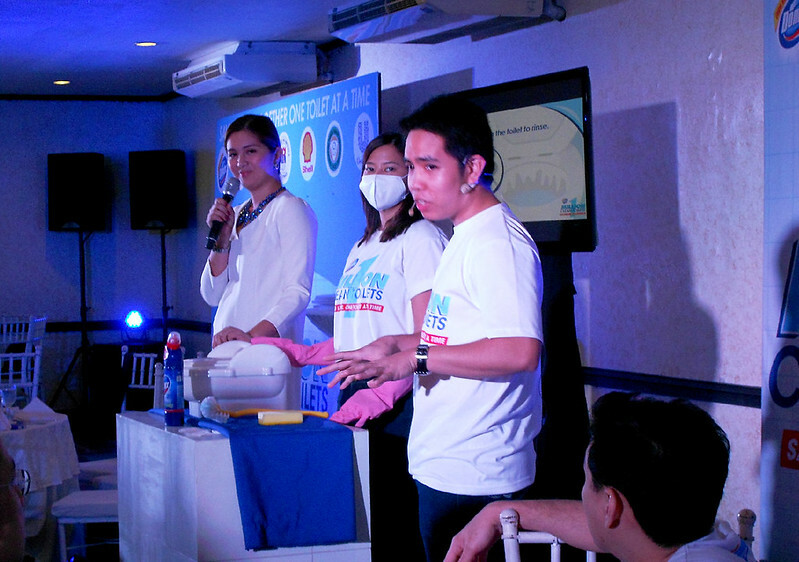 Domex is partnering with UNICEF, Philippine Public Health Association, Pilipinas Shell and the City of Manila. 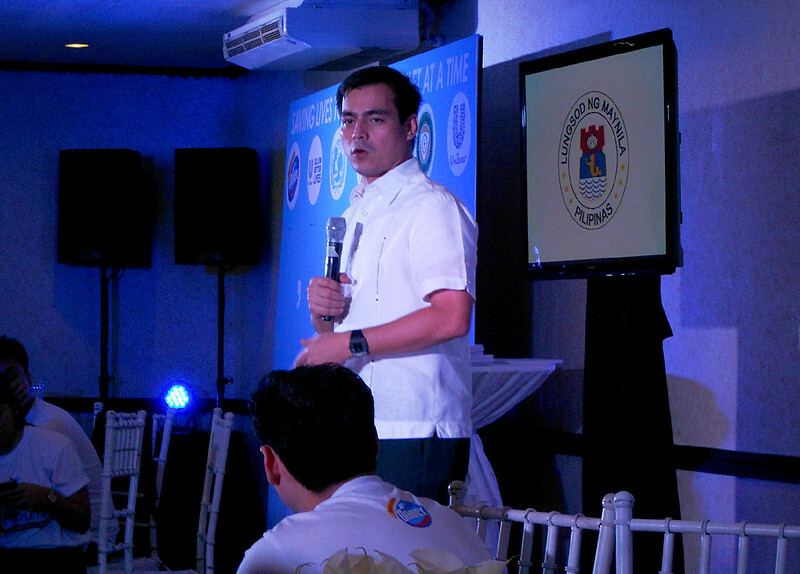 Attended the press launch of this campaign earlier and it was held at Patio Victoria, Intramuros. 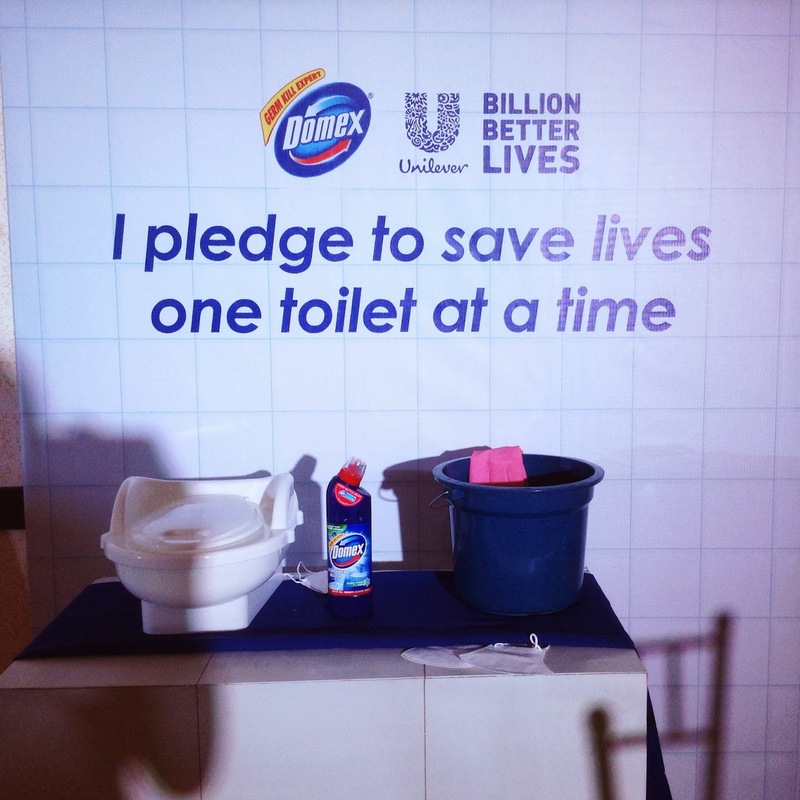 Along with other guests, I pledged to support the One Million Clean Toilets Movement through Domex Philippines' Facebook page. 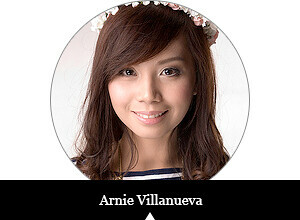 I'm encouraging you guys to pledge, too! It's very easy and it can be done at the comfort of your own homes. 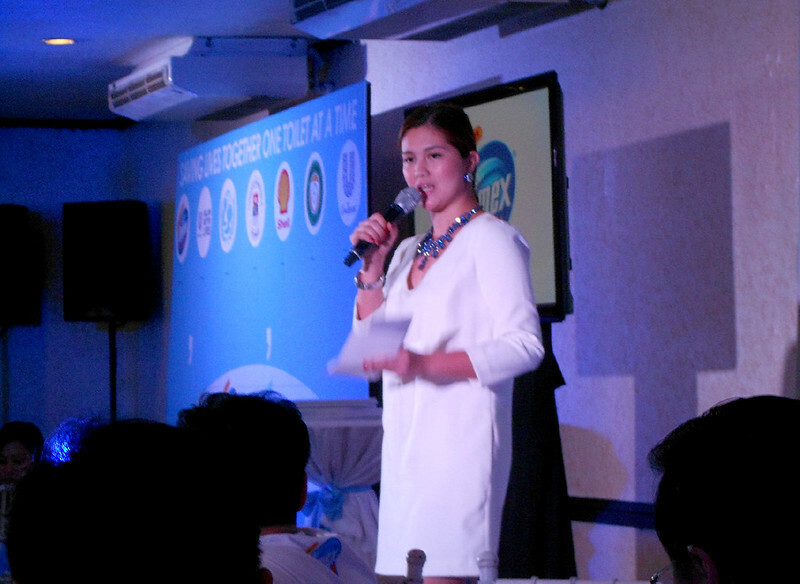 By doing this, Domex will donate P5 to UNICEF's Sanitation Program for every pledge received. 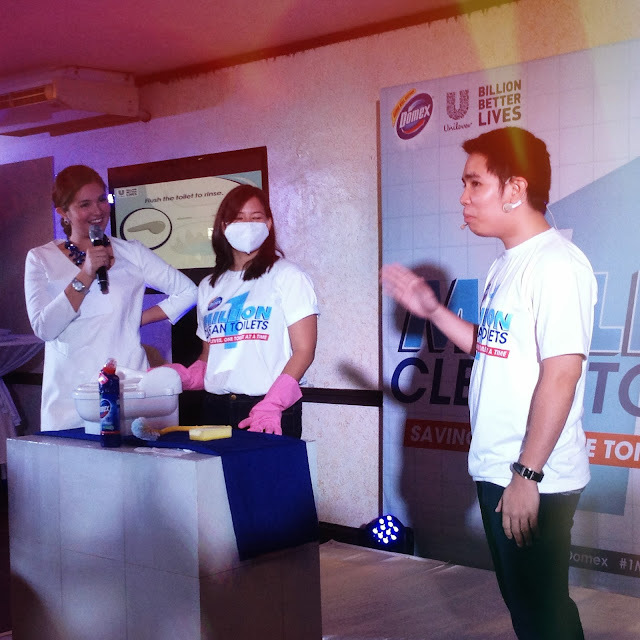 Domex brand manager, Dennis Chua, believes that good hygiene practices are learned at home, and that everyone should understand that proper sanitation is a necessity, not a luxury. Along with this, their team demonstrated how to properly clean toilets, with of course the proper cleaner to use to kill germs. 1. Wear proper protective gear like rubber gloves and mask. 2. Use Domex Toilet Bowl Cleaner and directly squeeze nozzle under toilet rim in a circular motion. 3. Alow at least 5 minutes for the product to cover the entire toilet bowl and effectively kill the germs. 4. Use a brush and scrub the toilet bowl surface from top to bottom. 5. Flush the toilet to rinse. 6. Prepare a separate solution of thick bleach in a pail of water to clean other toilet surfaces. Specialized toilet cleaners with anti-bacterial agents are very effective in destroying all known germs and viruses. Using the right product can minimize the contraction of illnesses like influenza, diarrhea and hepatitis. 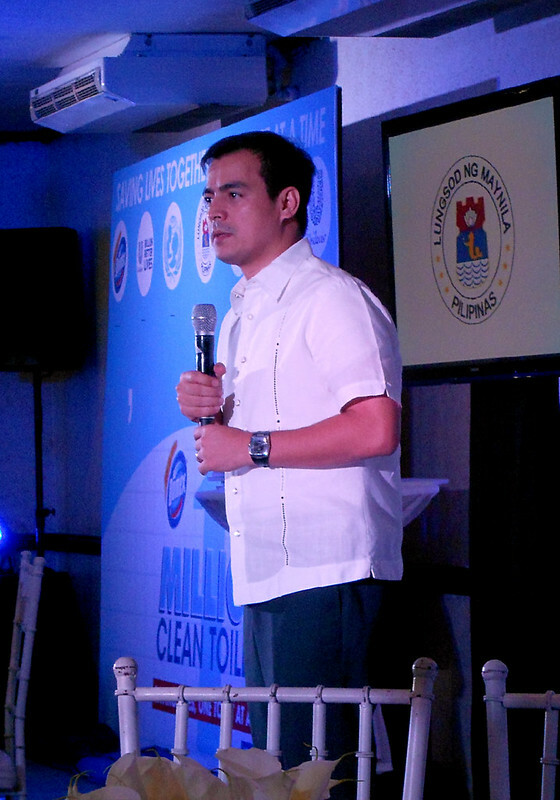 Vice Mayor Isko Moreno was present during the event, too, and he also pledged that Manila City will support this movement. With Domex, their city service employees will undergo training activities on proper servicing of restrooms, including selected school and hospital sanitation staff (plus NLEX and SLEX Shell gas station service personnel).